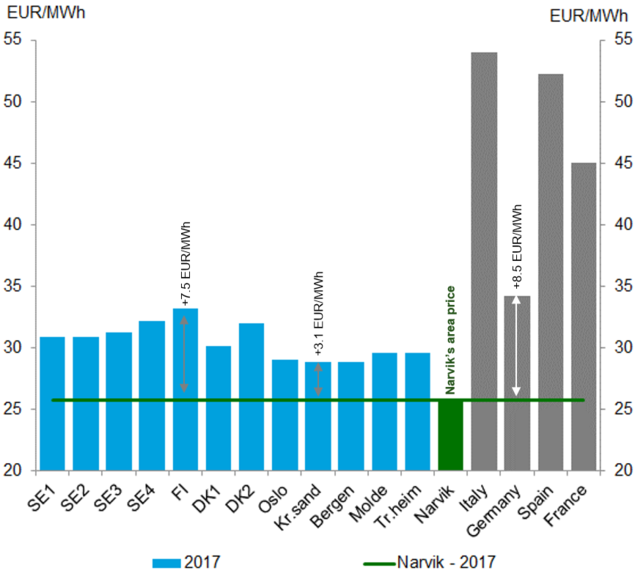 Northern Norway has the lowest power price in the Nordics. 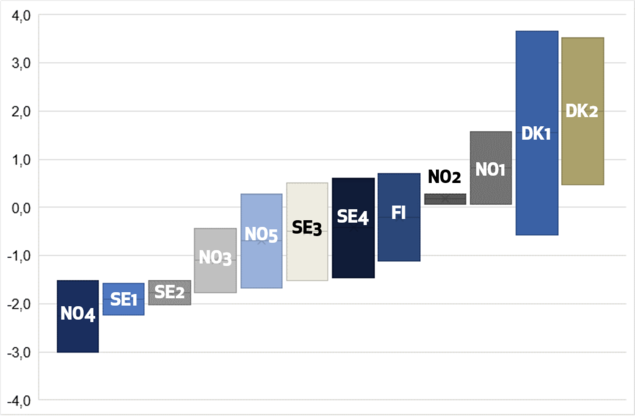 Three independent power price analytics* estimate lowest power price in the Nordics for the Narvik region / NO4. The power price estimate range from 1.5 – 3.0 EUR/MWh below the estimated system price. One of the reasons is that the northern part of the Nordics will not be directly connected to the higher price areas of continental Europe.